The View at Shelby Farms has everything you need to make living easy and fun! 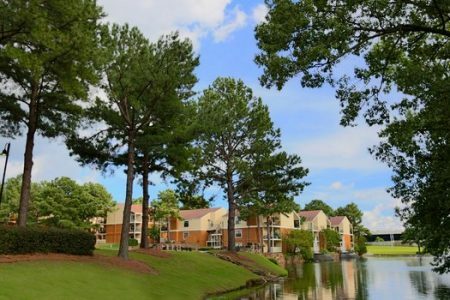 Visit our five swimming pools, four tennis courts, sand volleyball court, fitness center, business center with free wifi, or enjoy over 4,500 lush acres of green space at our neighboring Shelby Farms Park. 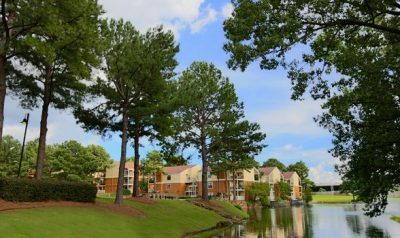 The View is conveniently located to several restaurants and shopping centers, including Super Target and Wal-Mart. Going out isn't on your "to-do" list? No problem! Stay in and read a book by your wonderful wood burning fireplace, or enjoy one of the beautiful stocked ponds from your scenic balcony.